Strange isn't it being away from something - it soon feels a distant memory. I left my previous role as a work based trainer and assessor in November after a year away from the classroom and it now feels years ago. Looking back, I do miss the people I worked with and I'll always look back with fond memories, but I'm so happy to be back in the classroom. You wouldn't think that being away from the classroom for little over a year would change much, but blimey things do move on. I suppose I felt that the most as it was a completely new school I joined with their own beliefs and I wasn't part of that journey from the beginning. I am now though. I firmly believe. I'd got the year three post and couldn't be happier with it. The hardest part of my new role was learning how to work in a team of three - three form intake. We have a big school and this was something I hadn't really thought about much until I was breathing it. I do remember my head asking me about this during my interview, but it didn't really resonant with me until I started back. 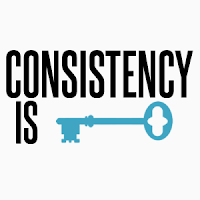 We had to ensure consistency across year three. I know this sounds simple, but coming from a single intake school and managing everything in my class felt strange to 'receive' planning to tweak and adapt instead of writing it from scratch. I'm currently planning English and Science and loving every minute of having the time to plan in detail the adventures we'll have each week. It felt hard to let go, but I'm now seeing the advantage of this week in week out. My work life balance has improved drastically from my last job and this way of shared planning has been a revelation to me. Maybe I was a control freak - aren't we all as teachers? Ofsted; surely not? It's December! Who'd have thought it?! I'd just spent a week preparing for my Pupil Progress Meetings for the Autumn term, after only being there a few weeks, when the unthinkable happened. It had been a whirlwind of a first few weeks back - hitting the ground running was an understatement! The team around me was wonderful though and as I left that progress meeting feeling wonderful, daring to dream of a full two weeks with my family over Christmas.... the call came. We were two weeks away from the end of the Autumn term and thinking about concerts and all the other things that happen at Christmas in primary schools when the call came. Action stations! I won't wax lyrical about the whole inspection, but our SLT and staff worked tirelessly to gain the recognition our school deserved. A true, welcome back to teaching moment there. Four weeks back into teaching with little knowledge of the journey the school had been on and I had Ofsted inspectors in my classroom. During my last role I received so much training and achieved some certificates that I'm very proud of - Level 4 IQA qualification and a Level 3 Diploma in IT. CPD is something that I have always enjoyed and grabbed with both hands. My school has exactly the same values. The highlight of the year is receiving Talk for Writing training during an INSET at the start of the Spring Term. It felt right. It ticked so many of the approaches to teaching writing that I believe in and it's had a dramatic impact already. The children know stories, can retell them, use more adventurous language and write with much more confidence. It has also helped the less able and EAL children in my class, as they have had opportunities to TALK so much about what they are going to write about during the lesson. There language has developed well and they are structuring sentences much better. I'm looking forward to our final training of the current year - a mathematics INSET on the final day of the school year. It'll be great to have that and be able to prepare over the summer to use the new skills with my new class in September. It's been a strange year this year coming into my new class in November and I feel like I've been robbed of a couple of crucial months with them. I don't think I'll make that time up in the summer holidays though! We've learned songs, created stories, produced beautiful art, built forest dens, challenged ourselves, laughed and learned so much from each other. If you remember in my last post I talked about missing exactly this - mission accomplished! I think this speaks volumes. I'm back where I belong. The return of the teacher - Why I left and why I returned? So, it's been a huge amount of time since I last put pen to paper (sort of); in fact it's about two years. I used to blog constantly and work hard to share with others, but I lost the feeling I used to get when finding something new - I lost my way. I was away from teaching for just over a year and I don't regret what I did, but I did miss the classroom - dreadfully. 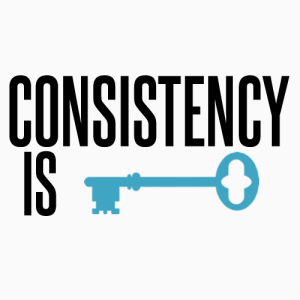 I left teaching at the end of my thirteenth year to join a successful apprenticeship company who delivered IT and Digital Marketing. It was one of those moments that I remember as a 'you never know' and 'what if the grass is greener?' I thought about the long evenings and weekends we spend as teachers producing stunning lessons and the hours of marking. Could working 9-5 and then switching off work for me? I took the plunge and left at the end of the school year with the summer break ahead of me. Now, I love IT and have produced some fantastic things with the children I have taught, but could I deliver the skills needed to teach 16+? I needed training and the company I worked for provided that for me and I achieved my Technical Certificate and IQA qualifications whilst there. The role was to assess the learners portfolios. meet with employers, set targets, and occasionally deliver training. I did enjoy the training element, and it was very, very different to learning with primary school children. Away from teaching the world feels very different. The aims of a business is to make money. It sounds obvious, but I've never felt that before. The constant recruitment and drive for more numbers felt strange to me, but I embraced it and if I'm honest, gaining a new apprentice or business was a bit of a high. We don't get that in schools, we don't need to compete for children - they just arrive! The working hours and few holidays hit me hard too! Only 30 days off a year and the summer was a killer! My family and girlfriend were at home all summer and I missed the break dreadfully. The six weeks I worked I missed them dreadfully. The first time I started to think about leaving. The company I worked for held their learners personal development in high regards and thankfully it was recognised by Ofsted as Outstanding - rightly so. Yes, Ofsted. As we were a training provider, we under Ofsted's umbrella. I been through Ofsted visits in schools, but never in this environment. I was observed reviewing the performance of apprentices and setting new targets. An interesting and different experience for me. Oh and driving to Manchester for an hour with an Ofsted instructor in my car! She was a great person who was really interested in the research I'd done and listened intently. But still, an Ofsted inspector in your car for an hour! During my time, I had to visit our London apprentices and deliver some training. I found this incredibly tough. The overnight stays were difficult and the hours were very long - travel can be a killer. I had some great experiences in our capital city and London felt very different when you were working compared to visiting. I love London and it always gives me warm feelings when I think about the time I've visited, but this was different. I was there for business. Around September last year, I was asked to take over the Digital Marketing role completely, including running the training. Could this be the link for me to get back in the classroom? Teaching 16+ learners is tough, much tougher than teaching primary school children. I know my secondary and FE colleagues may say I'm mad, but we're all destined to teach an age group and this was not mine. I missed the children and their love for learning, the art, the drama, the moments they learn a new word or make you a book at home. These small moments far outweigh the planning into the evening and marking after school. Actually, if I'm being honest, I missed the planning and creating exciting learning moments. I missed finding a book, talking to my partner and coming up with some stunning learning adventures. I didn't get that in the role I was in. I decided the time was to get back into teaching. I explained the situation to my boss and she knew straight away what I was going to say - she was very intuitive. The jobs in November were few and far between, but one did appear and I went for it. What a school! What a job! What a team! I'll tell you more in my next post. I LOVE my school! Never. I'm a better person for taking the risk and moving away from teaching in schools. I learned from some of the most talented people I've ever met, learned new skills, and found out more about myself. I want to tell you more about my current role, so I'll save it for a new blog post. But for now, I never regret moving away from teaching and I don't regret the time I spent away, but the classroom is magical. I now know how truly lucky I am to do the job I do. To teach the young people I have in my care and learn from every day. I've got my spark back, my mojo and I'm feeling more like myself again. Whenever I read about long hours, paperwork and work life balance I always think back about the time I spent away. Do you know what; the long hours, paperwork, marking and planning are worth it for the moments you spend in front of that class and see those faces in awe of what you're discovering with them. Well, I've finally got round to writing this post - moving house, means no internet! Sky have finally switched us on and I'm away - hurrah. FlipCon 2016 was hosted by the stunning Shireland Collegiate Academy on March 23rd and 24th and brought together some of the most inspirational speakers I have had the please to listen to. Headlining the two days was the founder of the 'Flipped Learning' movement Jon Bergmann, and he didn't disappoint. He spoke several times of the days of the conference and each time I found myself nodding in agreement and posting notes on Twitter. It was great to speak to Jon as well and he was more then willing to listen and answer any questions I had. It was a pleasure to speak to Lord Jim Knight and Sir Mark Grundy throughout the two days about pedagogy and technology in schools and hear them talk so passionately about the flipped learning project. Seeing a demonstration of Office Mix and Office 2016 from Steve Beswick and Jim Federico gave us all a great insight in what Microsoft have been up to and how they are committed to supporting education. Office Mix looks a cracking piece of software and making Powerpoint interactive is something that has been missing for years. Thanks must go out to Kirsty Tonks and Jen Devaney for organising the two days. It was great to hear them both talking about the MathsFlip project and how the results they have got from all the schools they have been running the research in - bottom line is, flip your classroom! The Primary strand visited one of the MathsFlip schools, spent time in the classroom speaking to children and seeing flipped learning in action. 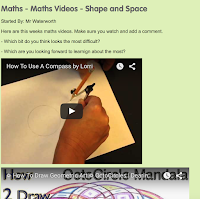 MathsFlip EEF funded project researching the impact of flipped learning on mathematics progress in year 5 and 6 pupils. What we saw was very impressive - children talking confidently about how flipped learning helps them learn and seeing children using technology to drive the mastery of learning forward. We then listened to deputy head Matthew Wyne talk very passionately about the project and share some very impressive data on the impact that Flipped Learning has had on his school via the project and his talented staff. Matthew spoke about how his school helped the community get access to content outside the classroom and how each child in year 5 and 6 applied the learning back in school. It really was a pleasure to spend a few hours in such a superb school - thank you. I had the first presentation slot on the primary strand and enjoyed sharing my journey through my flipped learning adventure - we had laugh and I even taught Jon Bergmann something! Thank you Vittle. What became apparent through the two days that the core elements of flipped learning remained the same whichever age group you teach. With technology and excellent pedagogy children are deepening their learning. 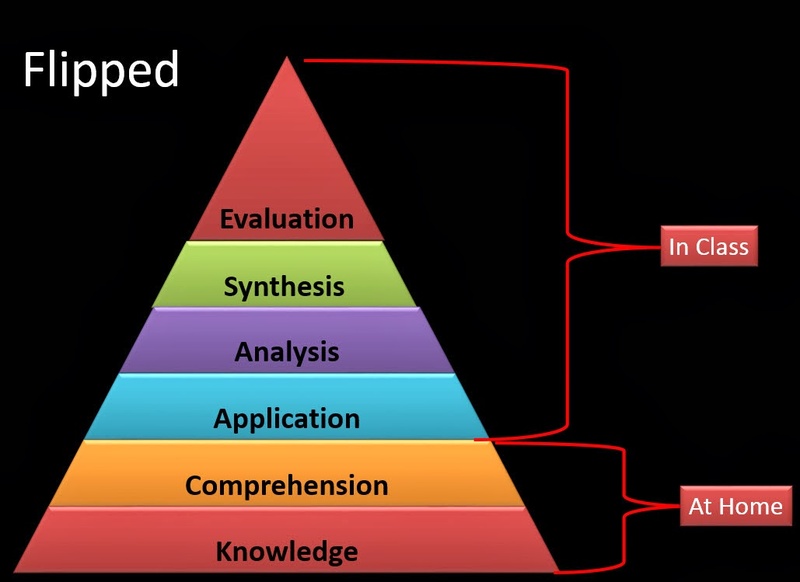 The MathsFlip project and FlipCon has really encouraged me to make sure people become more aware of the pedagogy. What did I learn from the two days? What am I going to try next? One of the light bulb moments came when Jon spoke about marking and feedback and utilising technology to do this. Interestingly I had had a similar conversation with Lee Parkinson at The Footsqueek Conference in early March. Basically, video yourself marking a child's work - annotate it whilst doing it. My plan is to use explain everything and photograph the writing, then underline or highlight parts as I'm speaking instead of writing. I'm hoping not to stop writing long winded comments and use my voice instead. Each child will get a video via Edmodo and we'll go from there - let's see what will happens. Will it save time? I'm not sure, but I'm willing to find out. Planning my own training for you! In the summer term I'm hoping to be running a day or half a days training (not sure yet) around flipped learning and utilising technology in your school. It will be held at my school and you're all invited. I'll post more details when I've finalised all the details. I'm sure more of the conference will come flooding back to me over the next few days and I'll try and write few more blogs before Easter comes to an end. Flipped Classroom: Four classrooms, four classes. What have I learned? It seems a very long time ago now since I saw Aaron Sams and John Bergmann speak at Bett 2014 about their pioneering flipped classroom which inspired me to flip my own Year 3 classroom. I've been to two schools and taught in four classrooms since then - so what have I learned? What went well and what didn't? This couldn't be further from the truth. The flipped model has needed to be adapted and changed in my classroom - I'd say bent, if I'm being accurate. Many of the practices outlined in Aaron and John's book talk about the merits of entire terms worth of work being available online for their students. This works when you have one subject to teach (chemistry, in their case), but when you teach in a primary school, you have many subjects to teach. In a nut shell, you can't flip everything! The main subjects that I flip in my classroom are Mathematics, Science and I'm beginning to use the model with English much more. Mathematics and Science lends itself to the flipped model as it is heavily 'fact' based, with opportunities to apply knowledge back in the classroom. I can't stress this enough when I meet and talk to colleagues about flipped learning. You must, above all things, get this part right for your students. If they are jumping around different websites, following links, logging into email accounts and using several different platforms, they won't complete their pre learning - it's too much effort. Find a place that works on multiple devices and is easily accessible. 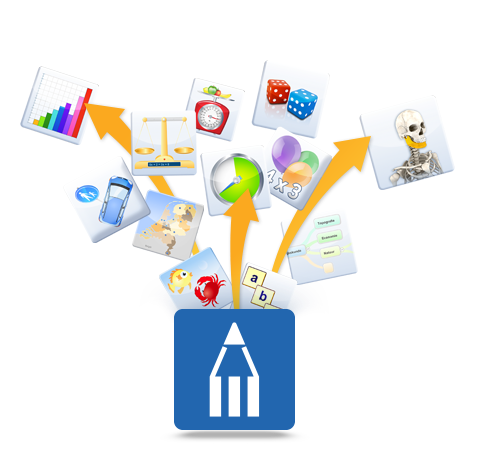 Edmodo is my favourite and I can't recommend is highly enough - I've blogged previously about its qualities. Find a place where you can upload, share and discuss learning that suits your children, parents and you! Think about yourself as well, as you will be driving this. It will become part of your classroom, so make it feel like your classroom. 3. Keep your parents up to date with everything. Parents want the best for their children and want to help - well, most of them. Give them the information they need now, not in a report at the end of the year, not at parents' evenings - now! Show them how you want their children to tackle a certain problem, tell them what you're reading in class, upload the children's homework and encourage them to take part on their children's education. Like us, parents are busy too - seems like parents are busier than ever. So, make the content of their children's learning available 24 hours a day. I've found that some parents will log in after their children in are in bed to find out what they have or what they will be learning over the next few days. It keeps parents in the know, and gives them time to digest the information you want them to know. There's nothing worse than being bombarded by a teacher, who has five minutes at parents' evening, with information about how to help their child improve. By uploading your classroom, you are allowing parents to see their children's next steps in learning at their pace and on their time. Some parents do have anxieties around school; usually from their own experiences. Take this away by allowing them to sit behind a screen and watch content over and over again until they understand it. This has been particularly successful with mathematics in the schools I've taught in. 4. What happens back in the classroom? The content that has been viewed at home must be available back in the classroom. I've found that even though some children understand the concept at home, they need the video to help in the classroom. Basically, they need further help to fully apply the skill. For example, a child watches a video of me modelling written multiplication, they come to school and have some understanding of the skills. If the video is available in class then they can pick up where they left off at home and perfect the skill without asking for help - great independence. 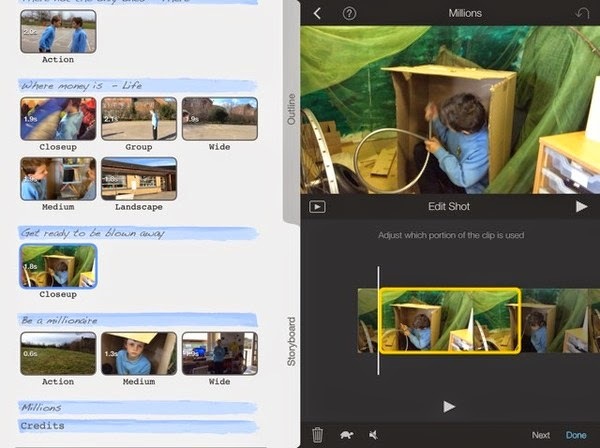 Teach children how to create their own videos using Vittle or Explain Everything. 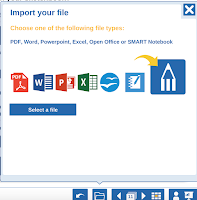 Give them a place to keep their content - Google Drive, DropBox or Edmodo's backpack. I'll ask some children to create a video before they leave the classroom and send it to me, so I can hear them calculating when I'm marking their work - what an insight into their thought processes this have given me when the child isn't around. I can't actually remember a time now when I haven't uploaded a video, a picture, or a web link to Edmodo and asked the children to watch it before coming to school. I've found over time that the children who do this, are more ready for learning, less anxious about their work and achieve better in the lesson. The children who watch the videos are becoming more skilled and move much quicker onto application of skills - then to mastery. Parents are more informed with what their children are learning and are 'ups killing' themselves with then methods we use in school. Overall the impact has been vastly positive with children making quicker progress than the children who have not completed their pre learning. This really isn't rocket science, is it? Children who spend more time practising skills, get better quicker. All I have done is maximised the children's opportintes for learning by making relevant content available online prior to their next lesson. I'm also presenting at FlipConUK this year. This is a huge thing for me as John Bergmann will be presenting alongside Lord Jim Knight and Sir Mark Grundy for the two day event. Discrete Computing - Technology is a tool to be used. 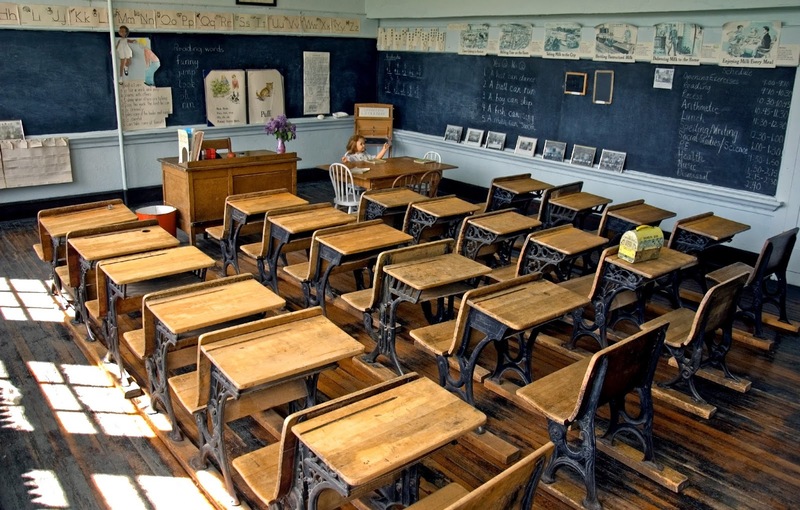 Computing in many schools is still treated as stand alone sessions. There are a few reasons for this: The distribution of hardware, the lack of hardware and teachers lacking confidence to use technology alongside their everyday teaching. 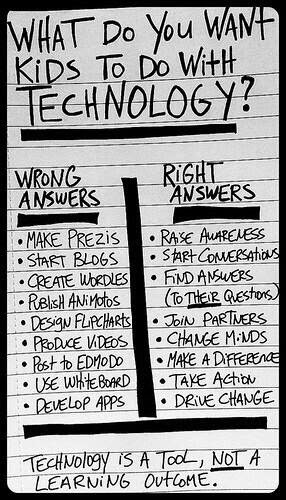 What the most important thing to remember is that technology is a tool to be used, not a learning objective. We have got to remember this and we must make sure that our schools are set up to achieve this. Right, I'm not saying there isn't a time to teach children skills to be able to use the technology independently, but we mustn't spend all our time doing just that. We need to get to the point where we see technology in the classroom, actually, we don't see technology in the classroom as it is just as normal as children using a pen or pencil. I used to find this last year when I had a 1:1 iPad classroom, where my guests on tours of the school were told - this is the classroom with 1:1 iPads. For me, technology should be used in the classroom when it's needed to improve the outcome of children's learning, not to be used because it looks pretty or we haven't done it yet. Recently, my class came up with the idea of building their own Saxon homes in our wonderful forest school area. So, this was forest school and design technology skills - this was the main focus. But how did we weave technology into the project? 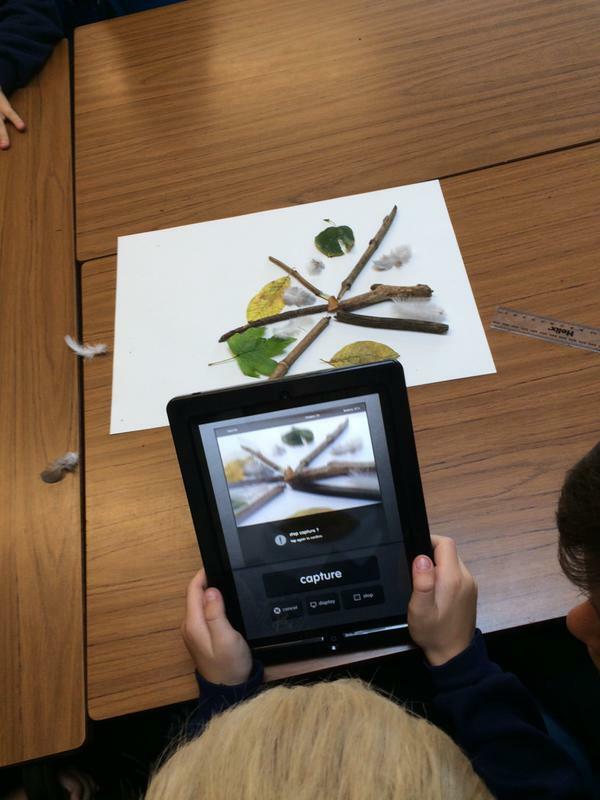 As you can see from the image the children are using iPads to document the process of building the homes. We used BookCreator to combine text, images, and video as a record - a clear purpose for the technology. We could have taken loads of images and video and then spent hours creating the book back inside the classroom. But tablet technology allows us to work on the go, very effectively. The children were ticking off the communication and publishing objectives as they were constructing. Each child had a chance to create a page of the book, making sure that everyone had a go at using the application. Now I hadn't actually taught the children (skills lesson) how to use Book Creator, they did it all by themselves. The children were teaching each other, asking questions and publishing without my help. Who's the teacher here? What else did we do in the forest? Now, this is an example were I did need to 'teach' the children how to use an application. We used iMotion to bring the forest to life, by animating parts of the homes outdoors. As the children hadn't used animation software before I had them 'play' with the application using natural material in the classroom. This was very true here. The children's animations improved dramatically from their first attempts in the classroom. They stabilised the iPad, ensured smaller movements were made, set better frame rates and published much quicker - on the go! A really great example of progress over a lesson or two. and the children were able to apply these skills when videoing the final animation. Interestingly, using our school website, we were able to share the work the children had completed at home as well. Yes, the children were so inspired BEFORE we went into the forest they went home, downloaded the free app and produced their own animations. 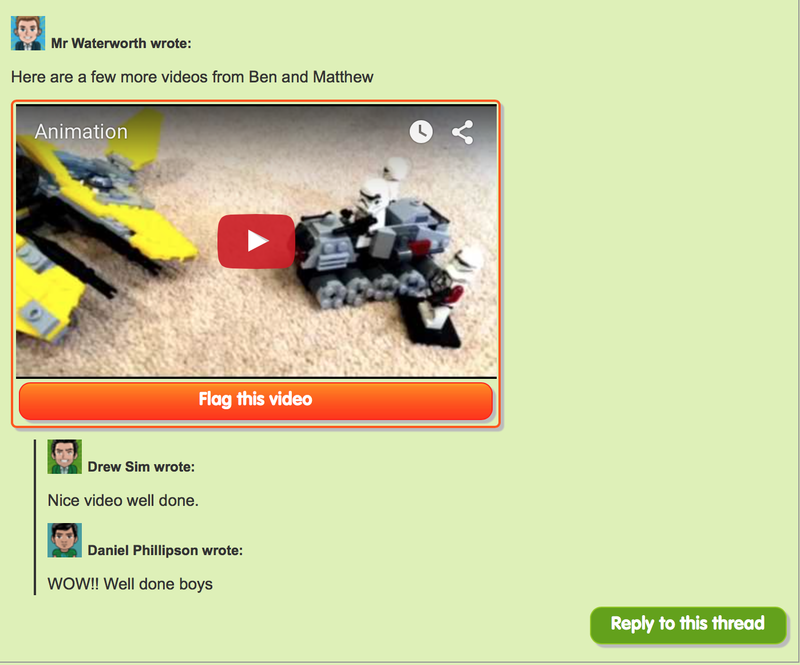 It was great to see so much animated Lego and toys being posted online via our class discussion pages. I never asked the children to do this, they were motivated to do it themselves. They used technology to follow their own curiosities and then shared with our whole class to get feedback ready for the next lesson. You will usually find that having a laptop trolley held outside the classroom means computing lessons are limited to one off sessions a week. This is fine - at least the children are getting the sessions they are entitled to, but we must endeavour to have that technology at the fingertips of children. They must be able to choose when and how they use the hardware in the classroom. It should flow seamlessly in classrooms and be hardly noticed. Hats off to the companies who give things away for free, especially to education. Before I write this I don't know this company, have in no way been asked to write this - it's just an honest review. Promise Presenter - An alternative? I've fallen in love with this little piece of presenting software over the last few weeks and I'm not turning back to my trusty Notebook presenter files. I first came across the software at our local education partnership computing meeting and the company was there demonstrating its very impressive screens with built in PCs, swivel screens etc etc. All very impressive, but it was the software I was interested in, not the hardware. This has to be right to sell the hardware. Firstly and most importantly and one of it's big selling points (hold on it's free!) is that all the files are held in the cloud. What a simple Idea, but one that has proved a master stroke for me. I can work at home, not bother with dropbox, memory sticks, hoping that the right software is installed on the Mac or PC I'm using when I get to school - it is entirely browser based. Log in and your work is waiting for you, exactly as you left it when you prepared it at home, on another PC or Mac. I loved this as it meant there was no time wasted. Of course if the network is down, there is another totally different problem - but how often is it, nowadays, really? Cloud for me everytime! What about all my other files? What about all my old Notebook presentations? The first thing I asked at the demonstration was about my old stock of presentations I had. Can they be used? Yep! No problem. Simply import them into the presenter software and away you go. 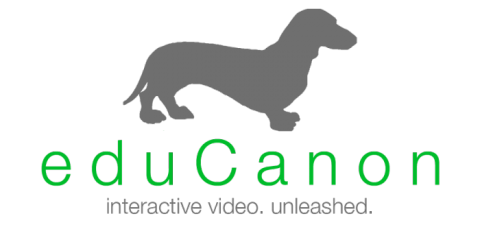 All the links are there, images, video - everything! And now they are all in one place, online. Here is a screen grab of one of the pages from my current workbook. The usual tools are there, you'd expect from a presenting package and they work very easily and very intuitively. So far, so good. You can see that I have embedded video files for my art lesson this week. 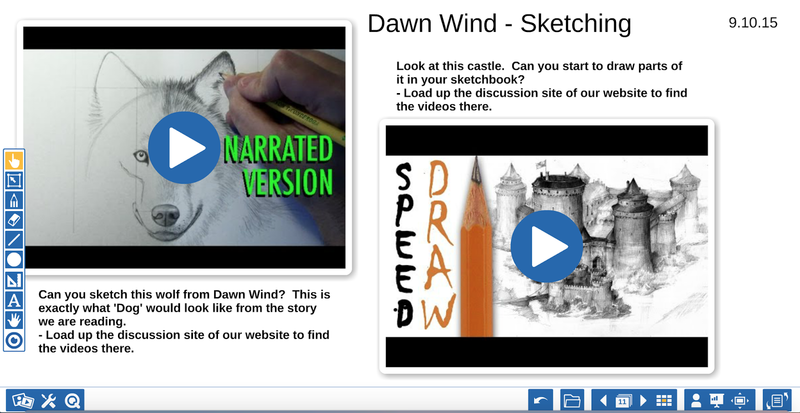 We used a step by step video guide to help us draw castles and wolves - all based around our story 'Dawn Wind' by Rosemary Sutcliffe. Now, I really like how easy it is to embed videos into the presentation. The whole process is contained within the software. Simply search for a video and it will perform a 'safe search' of YouTube for you. Click on the video and it is ready to go in your presentation. Already have the URL, then just paste it in the search box and it automatically embeds it into the presentation for you. This process is the same for images as well. Nice and simple, nice and quick and relatively safe - the kids could do it. So far, so good really - there is so much more to explore! There really is so much more to explore, as I haven't even touched on the 'ProConnect' feature available, again, FREE! Pro Connect allows you to set interactive challenges using their Free app for iOS or Android and then see the results live on the screen. 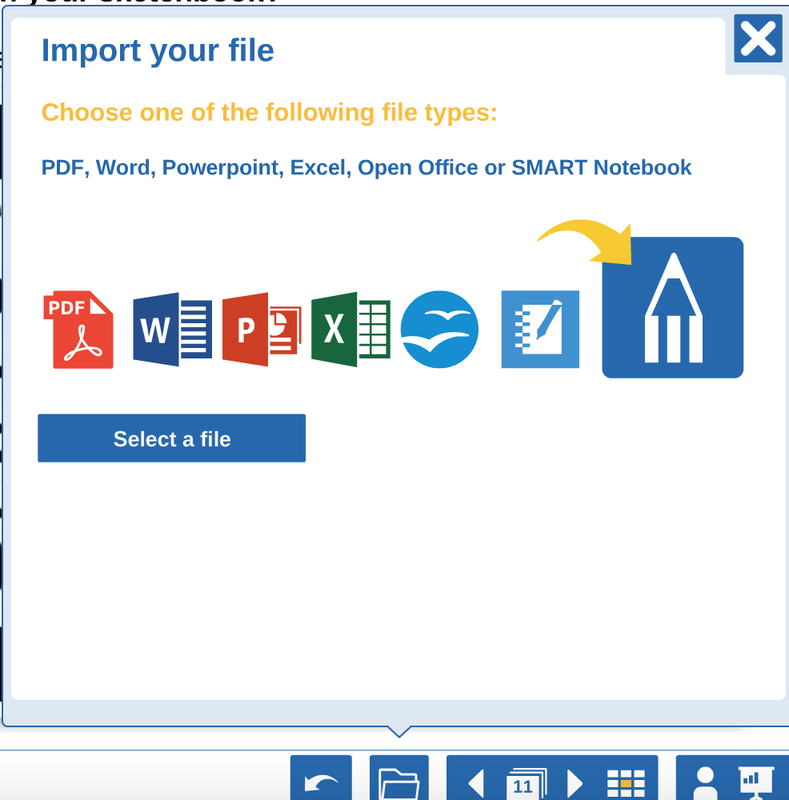 You can even export the data it collects into Excel, to keep - superb for assessment purposes! This will be a totally different bog, worthy of it's own pages. Stay tuned, when I've more time to play. In the meantime, go and download it. Try it, why not. It may make your life so much easier. In fact I guarantee it really will. I'll let the company themselves have the final word. Starting a New: Can what I've done before work somewhere else? The summer has passed us by and so has September - how did that happen? There have been some changes since July; mainly I've been seconded to a school just up the road to help develop their computing curriculum. They've also asked me to introduce the concept of flipped learning to help further develop their mathematics curriculum. This is all very exciting and I've spent the last month settling into new routines and a new school - you all know how it is. Interestingly, I'm actually back at my last school half a day a week to teach computing to Year 3 and 4. Something I'm pleased about as I get to keep in touch with colleagues from my last school and also stay in touch with changes. This will certainly help when I return in September. One interesting thing to note is that the school I worked at last year was a complete Apple school, and the new school isn't. Time to get used to Windows again! This is something I need to do, as I've been losing touch with Windows applications. I was really very interested in this opportunity, if only to follow my own curiosity - will it work in another school? I met with the head teacher and she was keen to try the model of teaching to help the children in the school have access to content 24 hours a day. She talked about parents wanting to help their children at home and sometimes not knowing the correct way to help their children. A great meeting and one full of energy and enthusiasm - let's get started! Finding a platform: Does it have to be Edmodo? 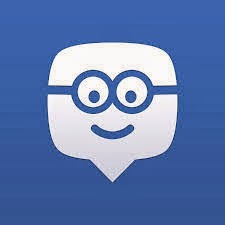 In my previous school, I have always used Edmodo as our school website - a labour of love for me (http://www.peartreeprimary.co.uk), doesn't have the ability to do what Edmodo does. You can read plenty about Edmodo in my previous posts. 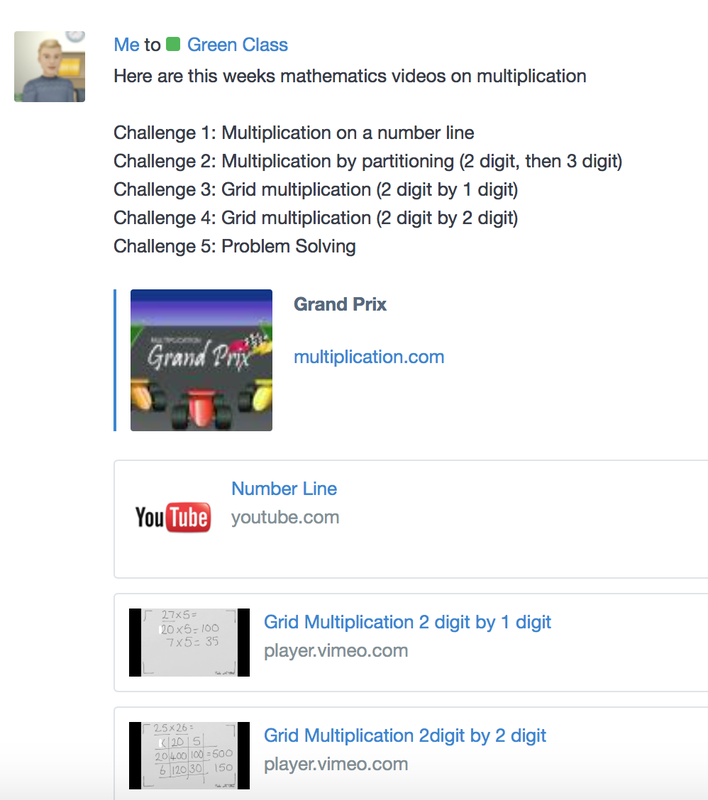 I was curious to see if what was successful using Edmodo could be replicated using another platform. I've always said yes, and I'm confident it can. Every school needs to find something that works for them and their stakeholders - particularly the children. My new school uses 'School Spider' a really excellent learning platform that has very similar features to Edmodo - mainly the discussion area. The teacher posts video, text, whatever they need the children to digest before coming to school. 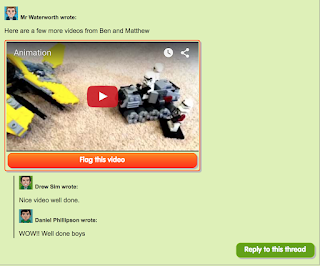 It has an option for children to reply to the posts, so it ticks the social aspects of flipped learning. 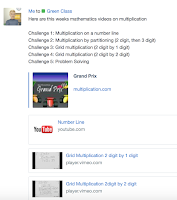 Early use shows that this platform is working and the children are viewing the videos and commenting when they are stuck or informing me which challenge they will be trying during the next session. So far, so good. I need to find a solution for this as Edmodo seamlessly imported the children's details into EduCannon. School Spider does not have that feature - maybe I should just ask? - I have a staff meeting coming up where we are looking at the computing curriculum we currently have and looking at how we can develop it further by linking it to the topics we are teaching. Not a stand alone subject. I was taking part in this weeks #BettChat and a question cropped up that got me thinking about something I was supposed to write months and months ago. 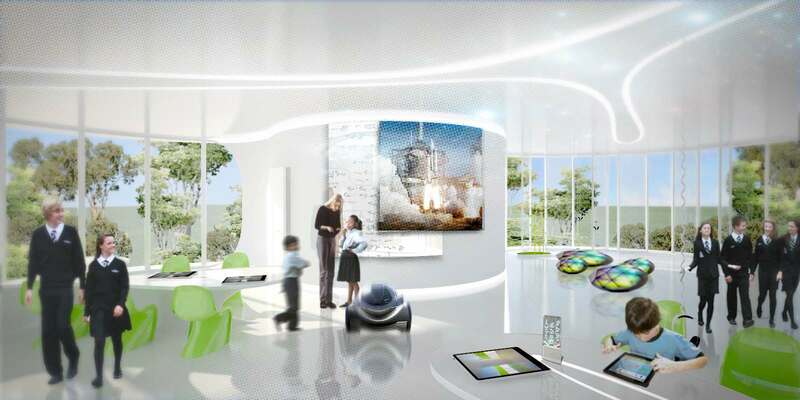 So here we go - what would 'my' classroom of the future look like? Space in any classroom is always at a premium and it usually is in a building that was built on a traditional method of teaching - the Victorian model. Most of our schools are still organised with the children ordered, as Sir Ken Robinson puts is, by their manufacturing dates. Why do we do this? Why do we group children by their ages? With the younger children in one area of the school and the older in another. They progress through primary school and never really interact with anyone outside their year group. Why can't children work with younger or older children on subjects or skills which they are equally skilled at. We sometimes see this in sport with younger children playing in older groups, but rarely do we see it any other subjects 'within' school. The walls and structure of our schools are preventing us from achieving this. I have seen over recent years schools beginning to tackle this with EYFS and Key Stage One, but I haven't come across a school completely integrating ALL age groups. Please tell me there is one so I can go and visit. At the minute we still see (particularly at high school) teacher at the front, sometimes behind a desk (I've never had a desk - just made me think then) talking to a class for twenty or more minutes and then having children set to work completing a task based on the knowledge or skills they've just been 'told' about. Why do we still do this? 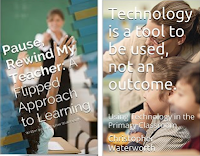 I have blogged extensively about flipped learning and the impact this has had on my primary classroom and I know we can take this model further throughout the school. Let's imagine for a moment that I was wasn't here to 'tell' children things, but to question their understanding more, probe for mastery of a skill and then push them further to do something with the skill. At the moment we haven't got the time in our schools to do this using the outdated model of teaching in the classrooms we have in our traditional schools. The use of technology to drive this flipped model, in my opinion, is essential. Too many times in schools we see technology introduced into schools and the teacher using the technology to benefit them, rather than the students. Great for the teacher, but it may not suit that child. Technology is becoming very personal, almost an extension of oneself. Just watching how the children in my Year 4 class use their own iPads is fascinating. They have their own ways of finding apps, their own positions of working with it; they have truly personalised their device. Let's strip away the walls, open it up. 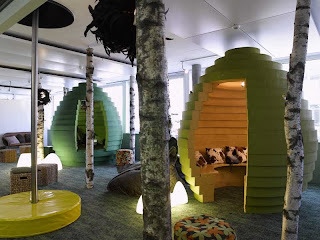 Let's have learning areas for children to sit, lie, sprawl and collaborate in different learning areas. And, essentially there are no classrooms as such. Children are free to work with older or younger children on problem solving activities and be as creative as possible. Their own personal device being used to answer questions they may have. So what do teachers do? A very valid question. What do we do when that tiny device in their hands holds the knowledge of the entire human race. We no longer need to be fact knowing machines and feel like we should know everything. Many times in my class, I'll say: "I don't know, let's find out." In fact, "just google it," is a phrase that is common place in schools and homes around the world now. Great, so that's knowledge ticked off. Sugata Mitra, the professor of educational technology at Newcastle university talks about the ability of children to absorb information from computers with no guidance at all from adults. Children can access knowledge easily with the most basic of technology, but they understand and articulate what they are absorbing. That's where we come in. Teachers will always be needed to help guide students on what to do with the information they are receiving. 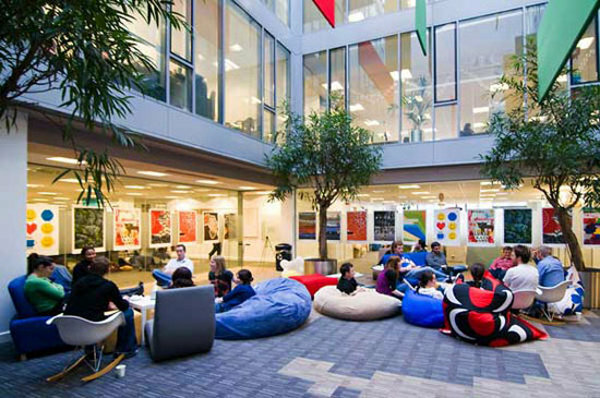 To inspire and be creative with the knowledge, to apply and refine the projects they are working on. But most importantly, we need to have a good learning relationship with the children in our care. In my experience this part of the classroom is the most important - the children need to trust you to allow them to take risks to learn. We will always be needed to be there for the children in our schools and I'm sure that won't change for the next 100 years. The look and feel of classrooms and schools need to change to allow a more flexible, creative approach to learning because our schools are still too rigid to allow this. Knock down the walls! Could we not create a school based around the Khan Academy approach? 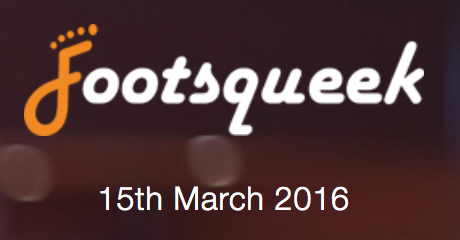 A whole curriculum of skills online, accessible whenever or wherever you might be. Using a flipped model of learning, the children can access the information in a 24 hour online school. The only reason a child needs to come to school is to learn what to do with those skills in the real world through blended or real life learning. Imagine the children waking up and logging into their own 'personal learning tapestry' and then finding their next steps, "Ah, this is what I need to do today." They could then watch a short video before coming to school, or on the way to school. Then arrive at school, complete the work and then submit it online. When a certain bank of skills have been mastered, a project is set to complete. 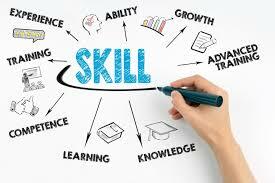 This could help to prove that they fully understand the skill and how to apply it. Built into the tapestry is a list of online videos to help support the acquisition of the skills or a link to a live lecture somewhere in the world to learn from. Links to experts in the field they are studying - actual email address of universities that are researching that subject. Allowing children to ask questions like "How do we know what we are going to think next?" Teaching children how to collaborate in the real world as well as online will become a critical part of school life with children and teachers from all over the world contributing to one child's learning journey. 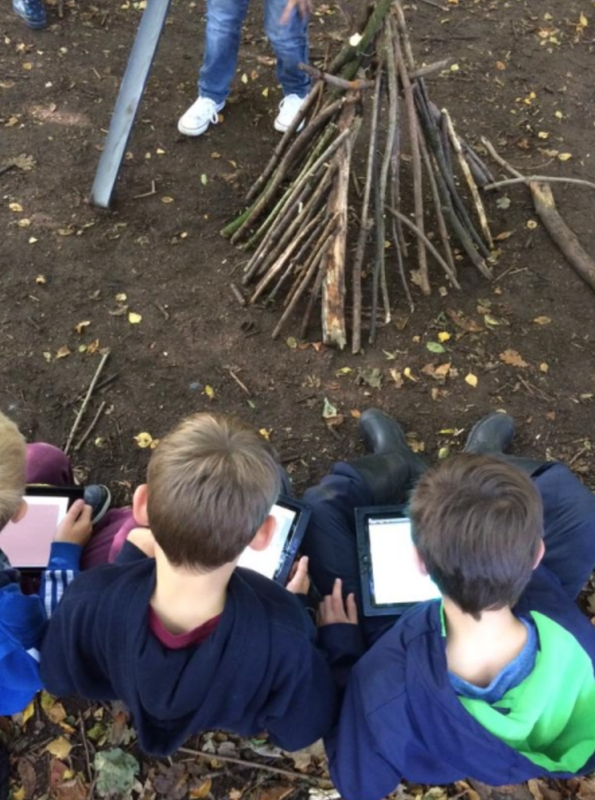 The use of apps like Edmodo and Showbie will become the hub for online collaboration throughout the school and social media enabling children to make connections with experts in a variety of fields across the world. I currently have 1:1 iPads in my classroom and I've been trying hard to knock the novelty factor off them and reduce them down to what they really are - just another tool for learning. Recently I have seen this starting to happen. People have stopped talking about them being in my room, the children just get them out without asking, and they use them because they need to, not because they sparkle. I want them to become invisible in my classroom, not for people to ask, "so what have you done on the iPads today?" Expecting that because they cost a lot of money I must be creating books, films and new apps on a daily basis. There will be time for physical education, recreation, and most importantly the social aspects of school life throughout the day. These children need to unplug from the world for time during the day. The teaching of forest skills, gardening, cooking will all play a vital role in creating healthy children for the future. The use of technology has a role to play here as well. Wearable technology will help children understand how their bodies work and how best to look after yourself. 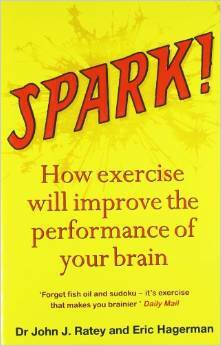 Reading the book 'Spark,' by Dr John J Ratey has really changed my thinking about fitness in schools and how it has an impact on the brain. These are just ideas that have been flowing round in my head for a while now and some I hope to put into practise at some point in the future. There are huge obstacles and problems with all the models offered above, but what remains central to all of this is the pedagogy must be sound for the children to learn. 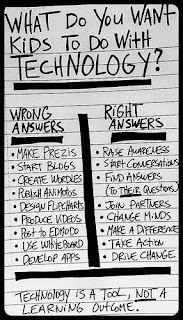 Technology will be a part of our classrooms whether we like it or not and the quicker we find ways to fully understand how this will become seamless and almost unnoticeable in our classrooms will be when the learners begin to benefit from the technology, not the teacher. Plenty to ponder, plenty still left to think about. Let's start with the learning environments and break some walls down. Both my books are on sale on Amazon Kindle, Google Books and Kobo for digital download. The books detail all my work to date around flipped classrooms primary schools. I've also been invited to present at The Digital Education Show in London on Tuesday 30th June alongside some great names like Sir Ken Robinson, Sugata Mitra and many others - Find out more. Since implementing our iPads in the classroom we have been busy experimenting with how they can help us create exciting and individualised content. The iPads have actually given us more time to work on things when we have a spare minute without running around looking for a spare MacBook or iPad. So, one thing I've been wanting to do for quite a while is to create Book Trailers for a book we've been reading in class. 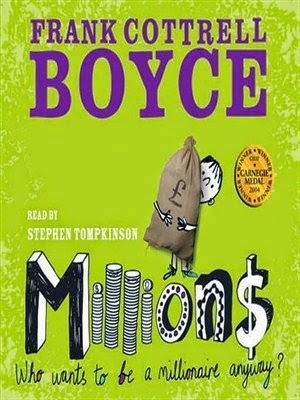 We have been reading Millions by Frank Cottrell Boyce and the children have loved every part of it. A truly wonderfully book that comes highly recommended and can be used to access so many parts of the curriculum. I gave the children the task of creating a book trailer based around the story of Damian and the money he finds in his hermitage. The book has been turned into a movie - you can watch the trailer - here We actually used the movie trailer to help us structure our book trailers. The children were incredibly enthused about this project and it was a great way to end a superb terms work based around this great story. This is something we tend to do with every piece of work we complete; look what is already out there and make a list of key features to help guide us when create our own unique work. The children used the storyboard on iMovie to help them plan their trailer and when they had a clear plan of what they needed to film, off they went. Now, here is where the 1:1 iPads come into their own. I could actually have an entire class doing this all at once! Something I've never been able to do before. I've created short films and trailers before with children, but the process becomes a long one with some children often left out at certain points in the creation process as we'd not got enough hardware. It was great to see so many children activity involved in creating something on their own, but within a small group. They were using the whole school to film their trailers - outside and inside the classroom. Because the storyboard gave them the structure, they were able to know what shots they required instantly, without going back into the classroom for a hand written plan. What I loved was watching them edit on the go, watching back clips of films and then reshooting or clipping parts. Another pleasing thing I observed was how they were sharing video clips via email to different members of the group to save time and to share good clips. The children were also sharing their videos using Edmodo to get next steps from their whole class. I could see them building on other peoples work as well. "Oh I like that, let's do that!" The children have spent two days creating their book trailers and some are almost ready, but I really want them to make sure that the final trailer has a clear story running through it. Again, we've been using technology to create something that looks good, quickly and efficiently, but ultimately it must still engage the watcher. This is something we must always remember when using technology, it all looks impressive, but if the final outcome doesn't work, then there was not much point in using it.